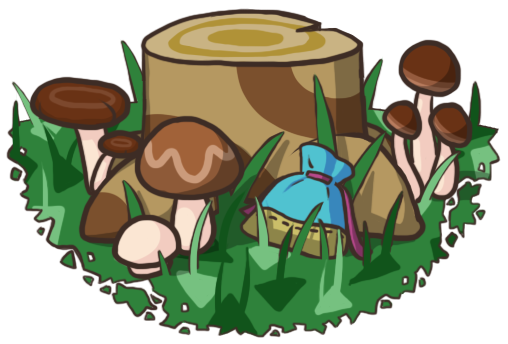 Walking outside after the last of the cherry blossoms are gone, the first thing I do is land in a pitfall 😛 I usually have one buried behind Lyra’s castle to prevent pitfall spawnings, but I removed it for my dream update. The town tree probably looks better without all the pink, to be honest. Silly Colton, I’m trying to buy the compass on top, not the table! It’s actually a pretty big bummer you can’t buy furniture on tables, or tables either if there’s something on them. I agree actually, Doc! In a town that’s themed around the sun and moon, cloudy days that hide the sunset and stars just won’t do 😦 Though I don’t mind some rain every once in a while, the rainy season gets a little too much for me. My neighbors anticipating the arrival of Zipper T. Bunny. It’s a little startling to see beloved areas in your town taken over by rocks on Bunny Day! One of the many sky eggs that floated by. Bunny Day is a great opportunity to get balloon scenery pics, and I probably didn’t take advantage of that enough. Colorful eggs ^_^ I already got the egg furniture when I had Bunny Day in Bywater, but I thought I’d participate in Citalune too. Haha xD I don’t think so, not according to Zipper anyway. Just a couple of days later, there was another visitor in the town tree plaza! I’m really glad I happened to have no weeds in town for Weeding Day, because I forgot all about this event. D: I don’t have any immediate plans for the topiaries, but they’re nice PWPs to have. 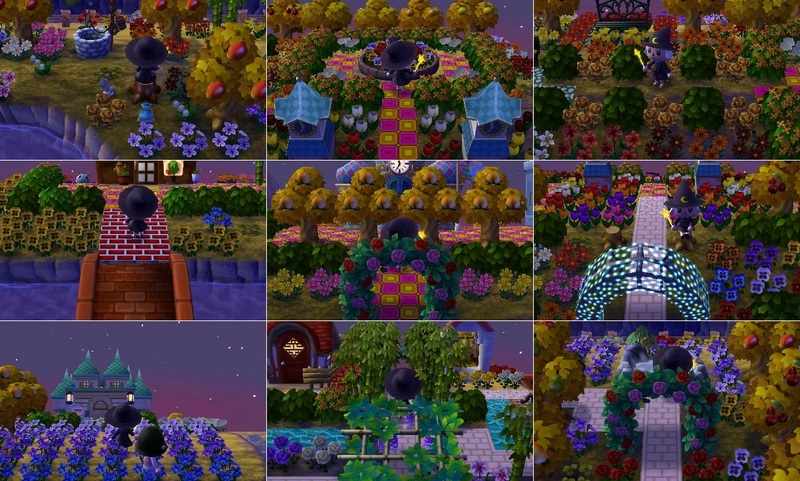 I like to think that Citalune’s landscape isn’t 100% set in stone forever (for instance, I plan on having an illumination park in the winter), so maybe I can try out a topiary garden somewhere one day. It’s because she’s interested in Rod instead 😛 Still shipping it! I don’t go to the island daily like I should, but I was glad I visited once recently because this cool instrument I’ve never seen before was for sale. I wanted to try making the garden arrangement around this pond more ‘sunset’ themed, and this was my first attempt. I decided I liked this brighter arrangement better, though, so I think it’s going to be like this for a while! I wanted to change the flower arrangements around the winding path from ReTail to the beach as well, and make it more sunset-themed. This dirt path can be seen as a more vibrant, sunny counterpart to the winding path on the moon-side of town across the river. But I’m a little torn what the best flower arrangement for it is, so I’d really appreciate your input! Option 1: The original layout of tulips and azalea bushes I’ve had for a while, and which is in my dream address. Option 2: An arrangement of tulips that emphasizes sunset colors more. Yellow and orange near the path, then it fades out to pink and purple farther away from the path. Option 3: Lilies and violets instead of tulips, still in an arrangement that emphasizes sunset colors. Option 4: Roses mixed in with the lilies and violets to add a bit of variety. It ends up looking sorta like the garden I have around the ReTail pond at the moment. Please feel free to give your input on which of these options above you like the best, or even give your own suggestions as well! I’m really not sure what to go with. An itty bitty little change I’ve made to the moon side of town is to have two trees framing Estel’s castle instead of four. Before, I had four because I liked the idea of Estel’s castle seeming kinda private, guarded by trees. I also liked the mysterious-looking visual effect of part of the castle being hidden by trees because it makes you wonder just how big the castle is when you see some of its turrets poking out above the foliage, you know? But this way, with two trees instead of four, I like the more open look, the fact that you can see the whole castle from the distance, and that the night sky is more visible. I might end up going back to the four trees though, I don’t know…they both have their pros and cons. I’m planning on making some changes to Estel’s rooms, like making more of them moon-themed with lunar horizon wallpapers and blue lighting. I’m also thinking of adding a back room. 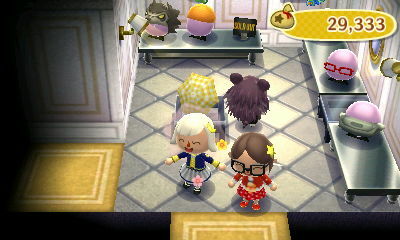 Posted on October 11, 2014 by Amy •	This entry was posted in AC:NL, Citalune and tagged Animal Crossing. Bookmark the permalink. You know, I kinda agree that I almost feel like the original layout of tulips is the cutest. It just bothers me that it didn’t seem very ~sunset~ themed, and it’s on the sunset side of town. And it would be really cool imo to have a sunset-themed dirt path as a counterpart to what I think of as the ‘starlit path’ on the other side of town >_< Oh well, hope I can figure something out that will satisfy me! btw Out of Topic But If your having a hard time doing designs and stuff and the 3DS I know a website that can convert pics into designs! I Don’t know the link but I heard of it sounded very Interesting to me! I’ve heard of multiple websites like that, and it’s a pretty cool little tool! Though I feel like they’re best for things like town flags, or if you want to make a photograph-type thing to hang on your wall. Option 1 or 2, I think tulips look better and brighter, it really reminds me of spring. 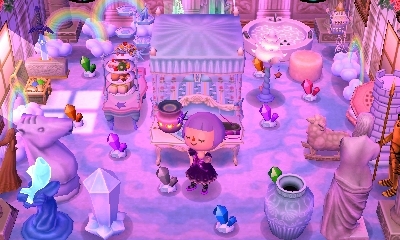 Also, I’ve been following your blog for a while and your ideas always inspire me (I’m kinda new to AC so I’m still learning about town paths and decorations). Thank you very much for the feedback, I appreciate it! 🙂 I do think the tulips worked well for that spot, so maybe I should take the thought process of ‘don’t fix what ain’t broken’ and simply re-arrange the tulips a bit. Part of me liked the idea of switching to lilies and violets because I kind of consider them Citalune’s town flowers, so I was curious to try it out. I found your blog recently, and I’m really inspired by the effort you’ve put into your town. It looks really amazing! The moon side of the town is my favorite, but the sunset side is equally as nice. It’s great to get feedback like this, thank you very much! ^_^ Now I know to probably either stick with the tulips, or do the lily/violet/rose combination (both options are tied in votes). Thanks for the feedback, I appreciate it! I’ll keep experimenting, maybe try a new tulip arrangement, see if the lilies/roses can be worked on, etc. Something I should keep in mind is that Doc’s house has a kinda cutesy vibe compared to the more elegant look of some of my other town houses (like Pango’s and Gloria’s seem elegant to me). Therefore, cutesy flowers like tulips rather than fancy ones like lilies and roses might be more fitting. Yeah, I’m out of school now (might go back if I want to go in a different direction than I am in now), so no streetpasses there, and I haven’t been to any anime/game conventions, but maybe that’s something to look into 😛 I carry it in my bag to work, going shopping, etc. (even to GameStop sometimes), and I haven’t gotten one where I live. Thanks for the tips! I do find it annoying T_T Often times the stuff on tables is the stuff I want to buy from them because it’s clashing with their house’s decor, like bugs, fish, etc. Yes, it is REALLY annoying. Personally, I would find annoying apart from the fact I don’t want to buy anything from my neighbours. Just noticed something.. Did you base your moon pattern on Van Gogh’s painting the cafe terrace? Is there a qr code for the cute moon tile you used in your town? I’ve looked online but can’t find anything, I love it! I came across your blog and it inspired me to make my own acnl blog. I was just wondering, how often do you post these types of “updates” on your town? I just wanted an idea on how often I should post. Aww, thank you so much, that’s really sweet of you to say and it means a lot 🙂 I think once or twice a month is the way I like to post, but feel free to come up with your own schedule based on your own posting style and what you’d like to do with your blog! My advice is that trying to post daily can be a little too much, but posting weekly or a few times weekly is do-able for some people. ^_^ Good luck, I look forward to checking out your blog and following it! Ooh how exciting, your first streetpass house!! 😀 It's fun wondering what the story is with each mayor, or what their town might be like when you find a cool house. I hope you manage to get more some time! I've gotten a few more streetpasses lately, but no Animal Crossing ones, ah well! Whuuut, I’d heard of that rumour too when Bunny Day was happening but I just thought it was silly and didn’t look into it, but it seems to be taken much more seriously than I expected o_o Even Nookpedia doesn’t bother saying it’s a rumour >_> Still though… I’ll believe it when I see it 😛 It is a pretty scary thought, though! Oh my.. I think i just found my favorite blog of all time.. Personally i think that the roses with violets and lilies would work really well. in my town i was trying to figure out the same thing thanks to you I just figured it out 😉😀☺😛!!! Hey amy can can we hang out sometime?